At camp you learn more about yourself in one day than you do in one month in the real world. And that’s not an exaggeration. At camp, every day can be a transformative experience. 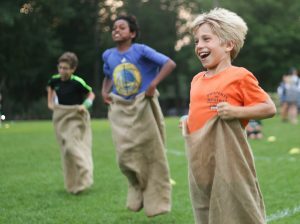 So many campers accomplish new things they wouldn’t necessarily have the opportunity to try at home, all with the support of passionate counselors. Speaking of passionate counselors, at camp you meet the most spectacular people, and they will inevitably become some of your closest friends. That’s the beauty of an experience like camp: you get to know people from different backgrounds but find the similarities you share. As a bonus, you now have friends from all the country and around the world! Camp is sort of like s’mores, you can’t just have one (or in this case, you can’t just go once). Of course, once I got a taste of Camp Laurel, I couldn’t stay away. Camp Laurel feels like the home I never knew I was missing. When I’m there everything is right with the world. Once camp is over, you will try and try to articulate what it means to you. But it’s impossible to talk fully about camp to someone who hasn’t experienced it. Much of my life in the winter is spent in this sappy mood—missing people and places that are a few months away. I’m so happy that I have something/someone worth missing; I wouldn’t have it any other way. Camp Laurel is the most magical place I’ve ever been lucky enough to experience. Camp is laughing harder than you ever have in your life, playing games with new friends and singing songs in The Lodge at the top of your lungs. Camp is looking out the window of the bus as you slowly pull away and thinking: I’m not done with you yet. 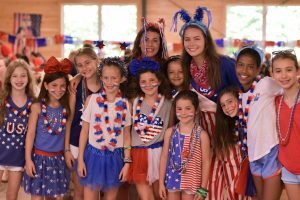 Camp is knowing you have a home away from home.